アート＆カルチャーフェスティバル・チラシ応募に申し込みました：Yoshy applied for “PR of Art & Culture Festival” by e-mail on Friday, June 22nd. 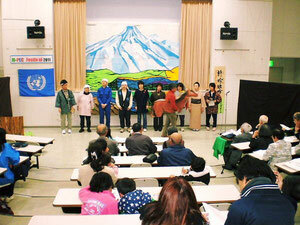 This picture is from a scene of English Drama, “Haneuma: Prancer” performed on November 20th in 2011. Look forward to November 18th (Sun.) at Kin-ken Center!